Hey Guys! 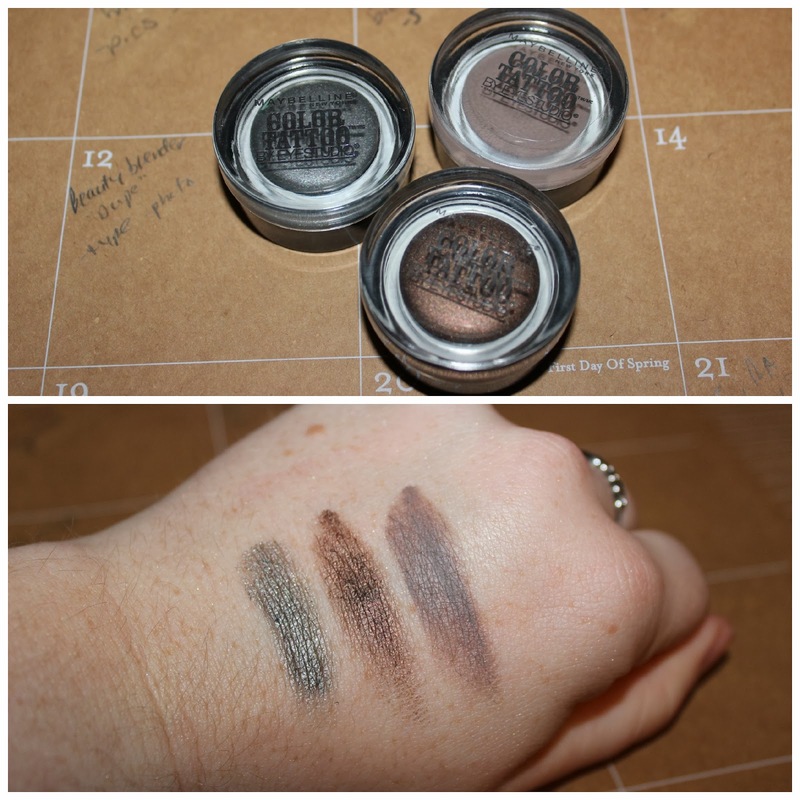 It's time for another T5T and today I wanted to talk about cream eyeshadows. You can get the cream ones in different forms, whether in a pot or in a stick form. I currently only have one favorite in the stick form, but it is impressive! So let's go ahead and get started! 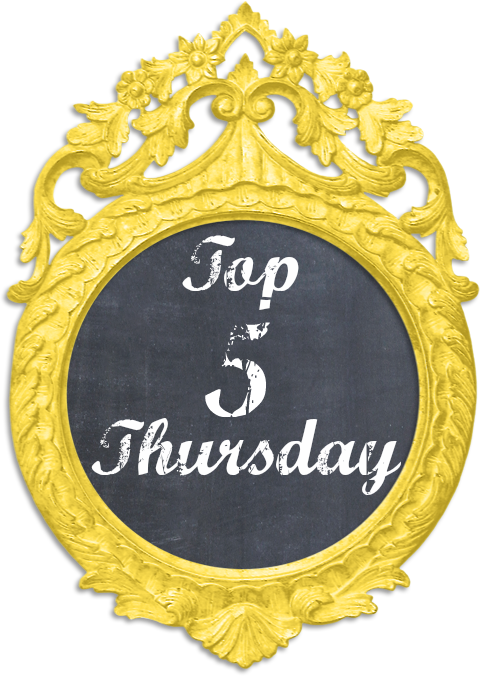 My first favorite is the Maybelline Color Tattoo. I was a little (okay a lot) late on this trend, but now that I have gotten a few, I am hooked! I have three of these: Tough as Taupe (which is obviously a taupe color), Audacious Asphalt (which is a silver/grey color) and Rich Mahogany (which is a reddish brown and may have been limited edition). These are so amazing. They are extremely creamy, pigmented and long lasting. The claim to last 24 hours, but I don't ever wear it long enough to know if that is true or not. These are absolutely without a doubt my most favorite. They are perfect for either a base color or to wear on their own. 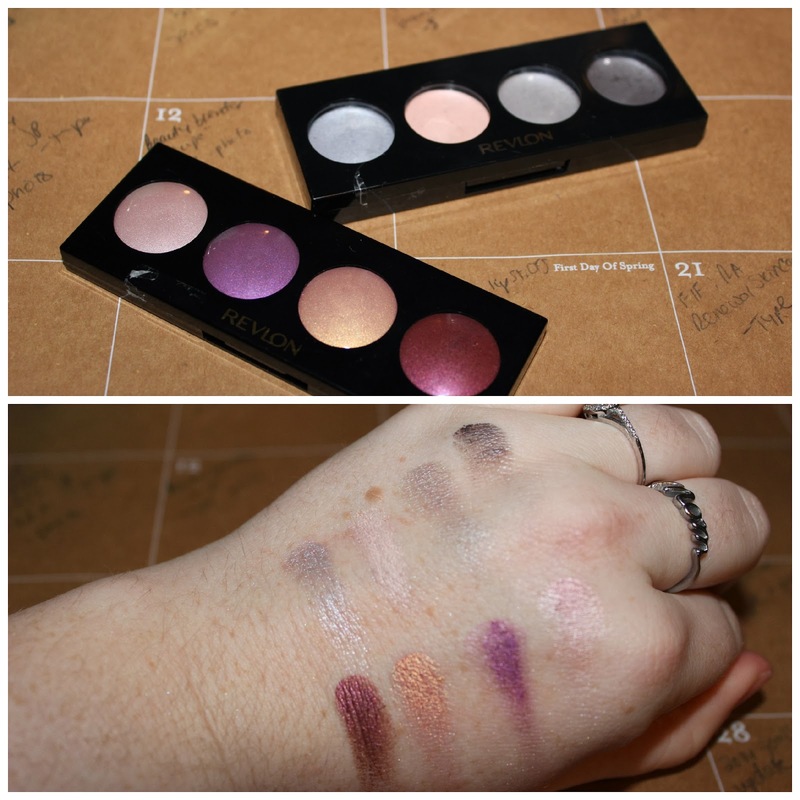 Next is the Revlon Illuminance Crème Shadow quads. I had one of these a LONG time ago, but recently picked up two to try again. I love them. They are another really creamy shadow. I have Twilight which has a silver blue, a light pink, a light grey and a dark grey. And I also have Va Va Va Bloom which has a burgandy color, a rose gold, a purple and a mauve. I love that they come in quads so that you have several different colors to choose from. I have never worn these on their own, but I do love them as a base color. 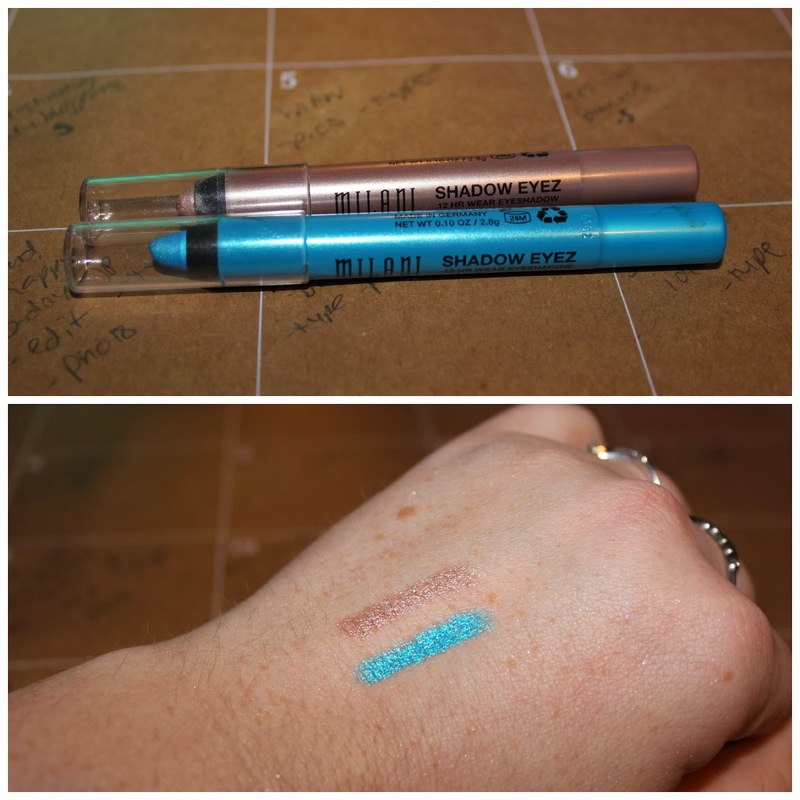 The cream eyeshadow that I love in the stick form is the Milani Shadow Eyez. This is supposed to be a 12 hour eyeshadow and I would believe it. I have the colors Sand Dunes which is a champagne color and Aquatic Style which is a teal color. Sand Dunes is slightly glittery bust for the most part they are just metallic. These are very pigmented and metallic looking. It is so easy to get these to go on. They are a perfect base color, but the thing I really love them for is to line the bottom lash line. It just gives you that perfect pop of color. 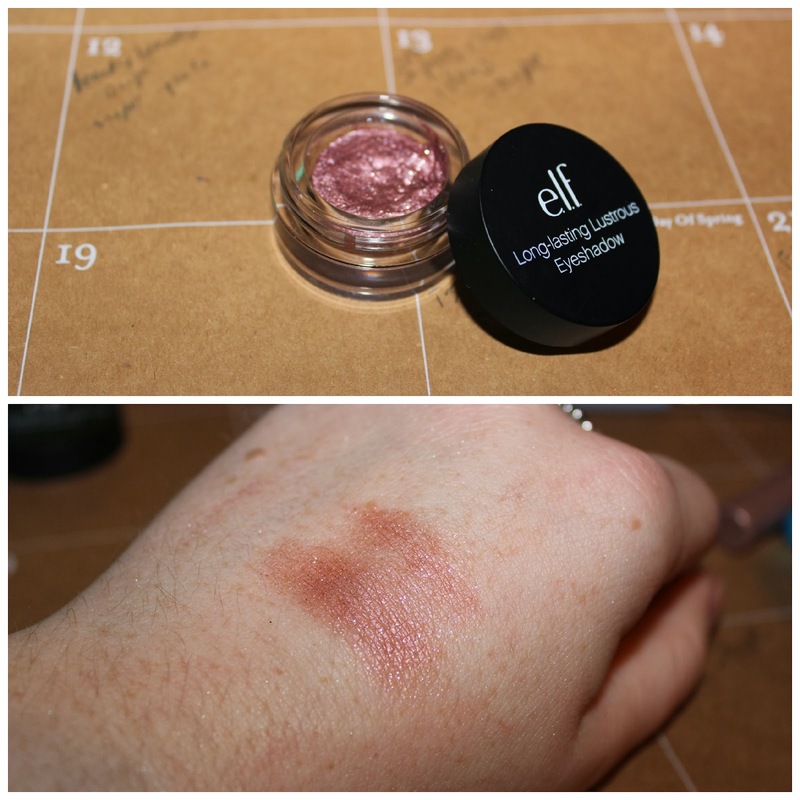 Another shadow that I love is the ELF Long-lasting Lustrous Eyeshadow. I am pretty sure that the color I have is Gala. 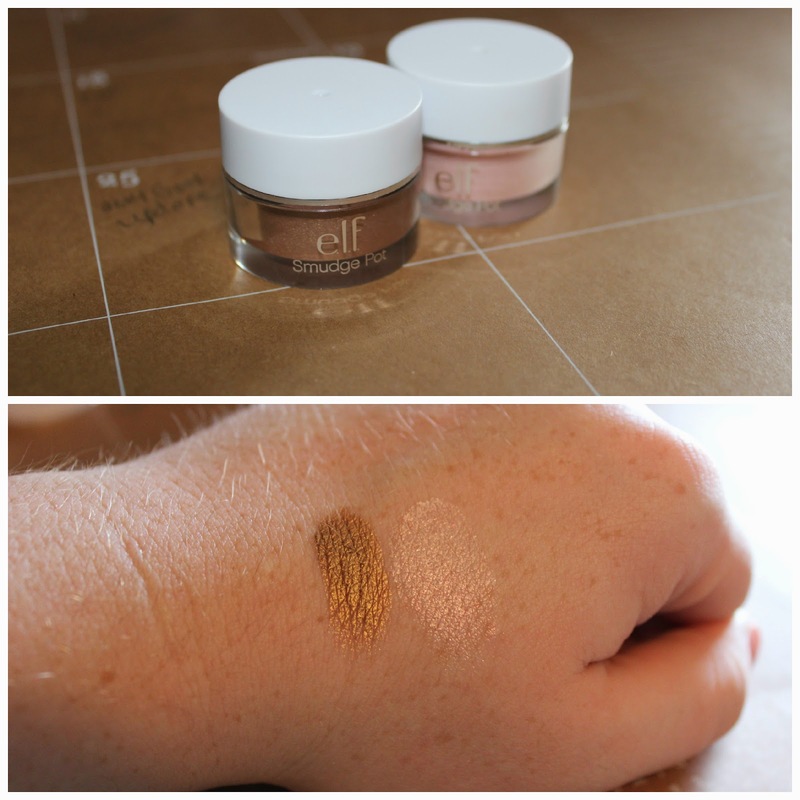 This has almost a whipped consistency, but I definitely consider it a cream shadow. These are glittery, but that is what I love about them. I don't usually use them as a base, but they are perfect to add a bit of glittery color over a different eye shadow. The last one is another one from ELF. It is the new ELF Smudge Pots. I purchased two of these in the colors Back to Basics, which is a golden neutral, and Ain't That Sweet, which is a shimmery pink. I love these. They are creamy and pigmented. I usually apply these with a small concealer brush, but mostly because the pots are a little difficult to get into with my finger. These are pretty comparable to the Color Tattoos for me, but much cheaper. So, which cream shadows are your favorites? Have you ever tried any of these? BTW, be on the lookout for a giveaway coming soon! !